A global, secure data discovery platform developed by the American Heart Association (AHA) with Amazon Web Services (AWS) is open for use worldwide by researchers, physicians, computational biologists, computer engineers, and trainees. The cloud-based AHA Precision Medicine Platform is designed to let users access and analyze cardiovascular and stroke data, with the goal of helping treat and prevent heart failure, stroke, coronary artery disease, atrial fibrillation and other cardiovascular diseases. Data available through the platform includes genomic information as well as demographic and vital-sign information. Users must request dataset access before they can download data and analyze it. Data filters include variant association analysis, genotype availability and variants, participant characteristics, participant measurements, lipids, and history of disease. Researchers are not charged for the data they access, but will pay a fee for cloud computing capabilities based on AWS’ current model. AHA says revenue generated from cloud-based computing will go toward funding its research initiatives. The Platform is a marquee project of the AHA Institute for Precision Cardiovascular MedicineTM, which has requested that participants share their data from clinical trials, long-running epidemiologic studies, registries and real-time health data acquired through wearable devices and technology. According to AHA, contributors of data to the platform include AstraZeneca, Cedars-Sinai Heart Institute, Dallas Heart Study, Duke Cardiovascular Research Institute, Intermountain Health, the International Stroke Genetics Consortium, the NIH’s National Heart, Lung and Blood Institute (NHLBI), and Stanford University. The Platform can be accessed at https://precision.heart.org/ ; registration is required. Through the Platform, the AHA said, it aims to build up its data and spur research opportunities across government, academic, industry, and patient communities. “With your data and your efforts, the AHA Precision Medicine Platform can help enable your discoveries of novel underlying causal factors of heart failure, new diagnostic biomarkers to predict stroke, or exponential new approaches to precision care for those with cardiovascular diseases and stroke,” Jennifer Hall, PhD, the AHA’s Chief of the Institute for Precision Cardiovascular Medicine, said in a statement. 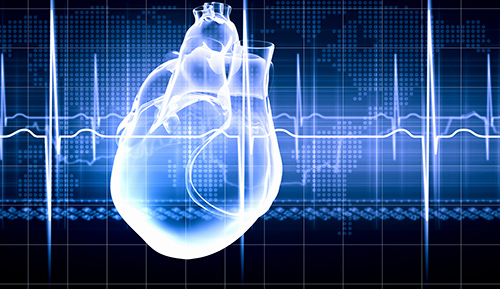 The Institute focuses on advancing precision medicine in cardiovascular care. “The platform provides an opportunity to learn, search and discover in new and efficient ways, and we will keep working with the community to weave in new diverse data to help us drill deeper and enrich our understanding,” Hall added. To further foster research into cardiovascular diseases and stroke, the Institute is encouraging use of the Platform and support tools in research it plans to fund through several grant programs, for which applications from researchers are being accepted. Applicants are being asked to detail how their work will benefit the broader community of users linked through the Platform.